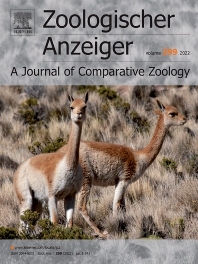 Zoologischer Anzeiger - A Journal of Comparative Zoology is devoted to comparative zoology with a special emphasis on morphology, systematics, biogeography, and evolutionary biology targeting all metazoans, both modern and extinct. We also consider taxonomic submissions addressing a broader systematic and/or evolutionary context. The overall aim of the journal is to contribute to our understanding of the organismic world from an evolutionary perspective. The journal Zoologischer Anzeiger invites suggestions for special issues. Interested parties may contact one of the editors.